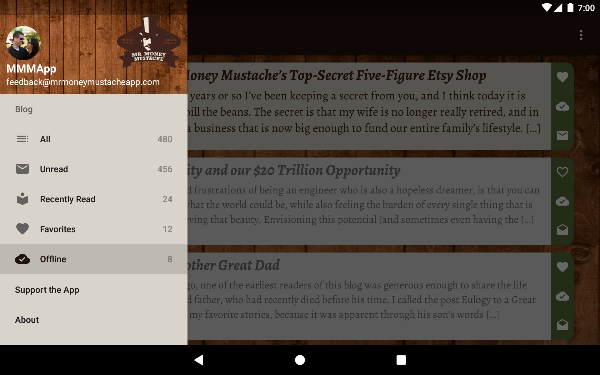 Easily read Mr Money Mustache articles on your mobile device. 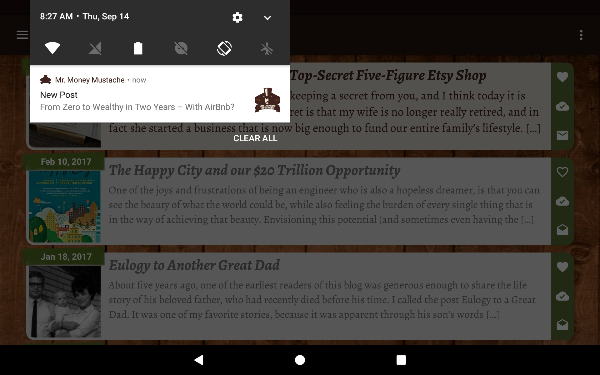 Use favorites to keep track of articles you want to read again. With a subscription you can also listen to the articles using text to speech technology! 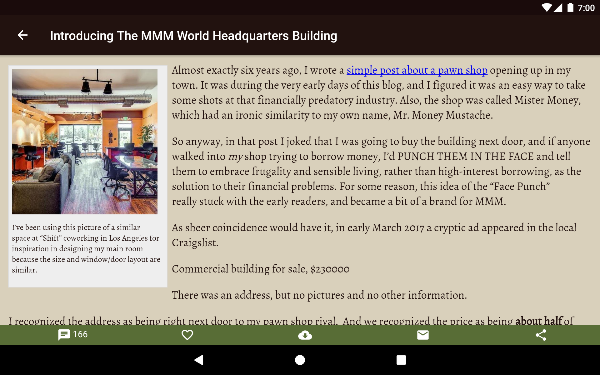 Receive mobile notifications when new articles are posted. Configure the frequency of updates to conserve battery life or know asap .. the choice is yours. Use the new FI Calculator and Savings Accelerator to find your FI date and analyze your spend! Connect with other Mustachians by commenting on articles you read. 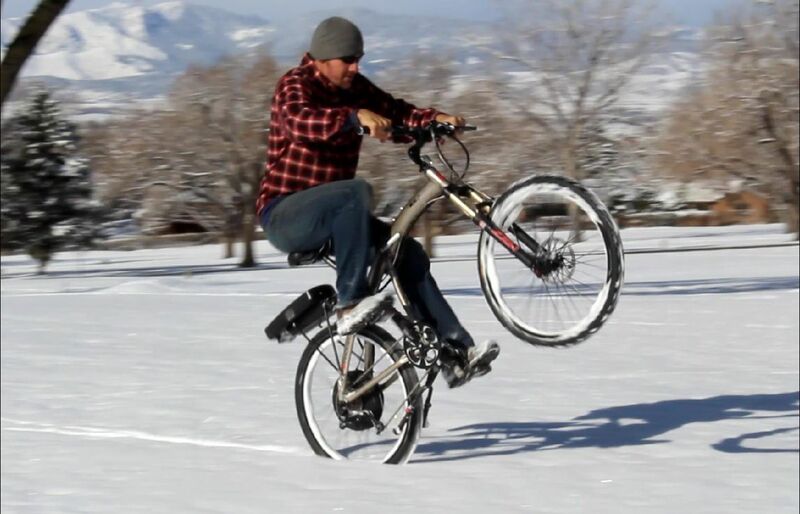 Comments are viewable across both the web and mobile platforms. Mustachians tend to be a travel-friendly crowd. Offline articles and view or listen to them without an internet connection. We look forward to bringing even more to the MMM App. The latest version includes new tools (FI Calculator & Savings Accelerator), Text to Speech capability and synchronization across multiple devices. Soon we will expand the ability to connect with other Mustachians and add even more tools to aid in your FI journey. Connect with us on the forums to help shape the app's future! Mr Money Mustache is often referred to as the grandfather of the FI movement. 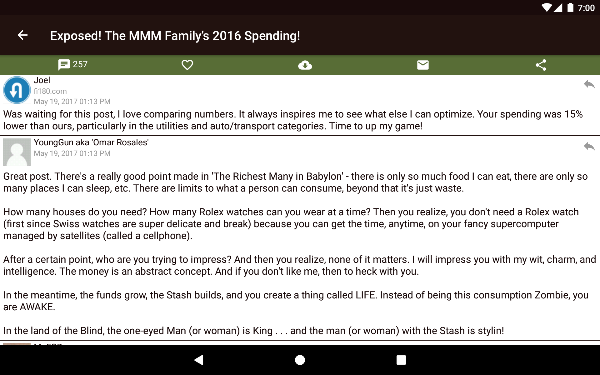 As the author of the articles published in the Mr Money Mustache App he brings a snarky, no-nonsense attitude to his writings on how to live a frugal yet Badass life of leisure and happiness. 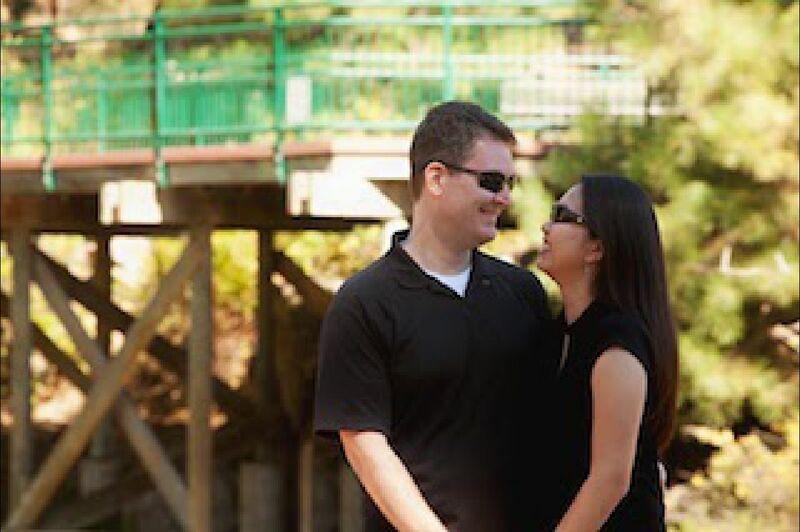 After discovering Mr Money Mustache in early 2015 we embarked on a journey to refocus our lives on frugality and happiness. In 2016 we attended Camp Mustache and Chautauqua where we decided to leave our fancypants jobs and build the Mr Money Mustache App for the Mustachian community.